In our increasingly-polarized society, the battle lines are clearly drawn in dog bite cases. Some states have laws which essentially immunize owners against negligence lawsuits, through procedural hurdles, damage caps, or both. Other states, including Florida, have more victim-friendly laws which make it easier to file, and win, a damage claim. Florida is a strict liability state which, for the most part, shifts the burden of preventing dog bite injuries onto animal owners. Even if the owner did not know that the animal was potentially dangerous or if the animal had not attacked anyone before, the owner is liable for damages if the animal attacks someone while ostensibly under the owner’s control. These damages include not only medical bills and other economic losses, but noneconomic losses as well. In many cases, these damages substantially outweigh the medical bills, which can be in the tens of thousands of dollars. In addition to physical pain and suffering, many victims, especially children, must endure significant emotional distress, including post-traumatic stress disorder. Negligence: Any action below the standard of care may be negligence. For example, a church school should not allow children to play near any dog. Negligence Per Se: Failure to comply with a leash law, fence law, or other safety law or ordinance constitutes negligence as a matter of law, if there is a reasonably direct link between the legal violation and the victim/plaintiff’s damages. 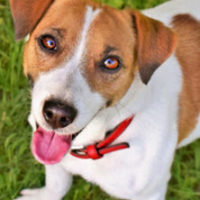 Scienter: If a pet sitter or other caregiver knows that the animal is potentially dangerous and the animal attacks someone, that caretaker may be liable for damages. Scienter is a Latin word for Knowledge. In all these cases, the victim/plaintiff must establish negligence by a preponderance of the evidence (more likely than not). In almost all dog bite cases, insurance company lawyers raise the provocation defense. However, provocation means more than mere verbal prodding or teasing, because for the defense to apply, the dog must be physically provoked to an extent that an attack is a natural response to the pain inflicted on the animal. Furthermore, children under 6 cannot provoke animals as a matter of law. Furthermore, if the owner has a “Bad Dog” or “Beware of Dog” sign in the yard and the attack occurs on the owner’s property, the owner may not be liable for damages. For the signage defense to be successful, the sign must be clearly visible and the victim must have the capability to both read and understand the words. If the jury concludes that the insurance company defense is only partially valid, the judge will divide damages according to the percentage of fault, because Florida is a pure comparative fault state. Any animal can attack any person at any time for any reason. For a free consultation with an experienced personal injury lawyer in Brandon, contact Reed & Reed.